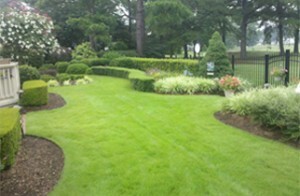 Edward Gosman & Associates is located in Chesapeake and provides landscape services to homeowners and businesses in Chesapeake, Virginia Beach, Norfolk, Suffolk, Portsmouth, Northeast North Carolina and surrounding communities. We can be reached at the below contact information or by using the contact form below. Subscribe by clicking the button below and get our newsletter in your email each month. For Helpful information you can trust.